AAA Minneapolis provides reliable Emergency Road Service and other travel services while advocating for traffic and pedestrian safety programs in our community. 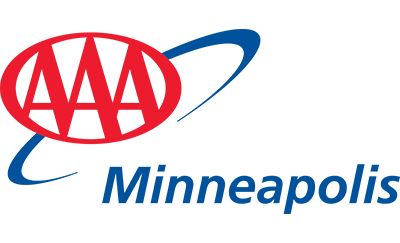 AAA has served the motorists in the Twin Cities for over 115 years. Learn about our history, leadership and other facts about our club. Explore full-time and part-time employement opportunities at AAA Minneapolis, benefits and why people love working for AAA Minneapolis! The fact sheet has everything you wanted to know about the organization and the services we provide. Our traffic safety and advocacy work is facilitated through The Minneapolis Auto Club Foundation for Safety, our 501c(3) non-profit organization. The Foundation manages the School Safety Patrol program and provides supplies, training, and recognition for more than 5,000 patrollers at over 150 schools in Hennepin County. Our Traffic Safety education initiatives promote teen driving safety and child seat safety, and drive awareness of distracted and impaired driving.